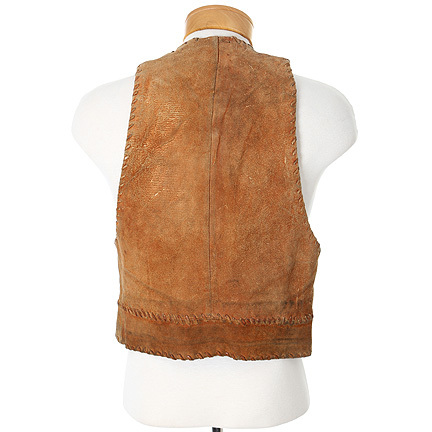 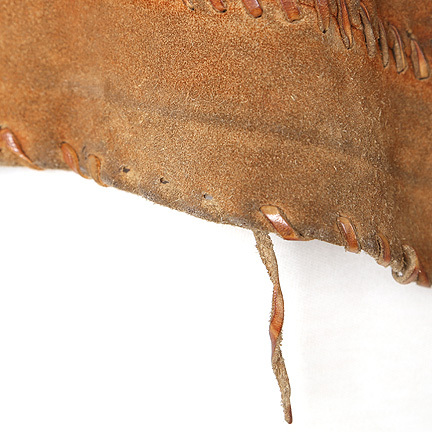 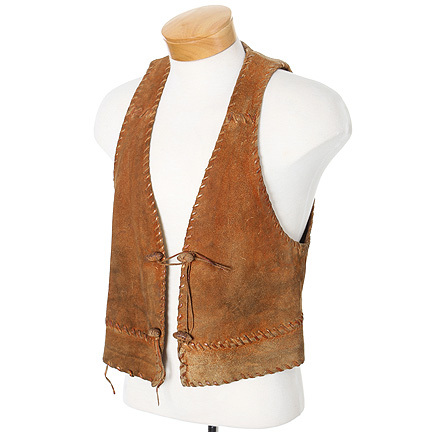 This vest was worn by the character “Geronimo” played by actor “Chuck Conners in the 1962 Western, “Geronimo.” This tan leather vest is corded at the seams and has four rolled leather button closures. 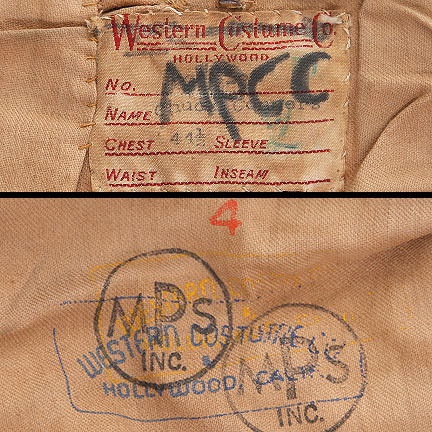 The original Western Costume Co label with the actor’s name, “Chuck Conners” typed in black, and “MPCC” handwritten in black ink over the label, are located on the inside of the garment. 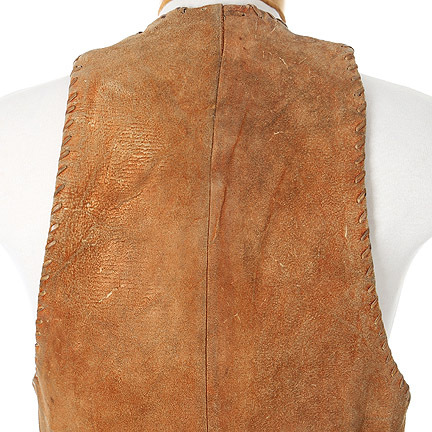 Also located inside the vest are two “Western Costume Co” stamps, two “MPS Inc” stamps, and the number “4”. 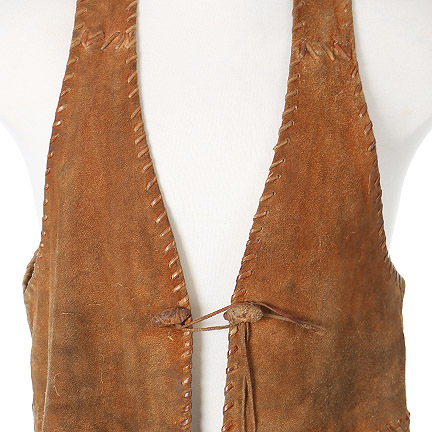 Mr. Conners wears this vest throughout the film and most notably when Geronimo returns to his awaiting tribe and the US military. 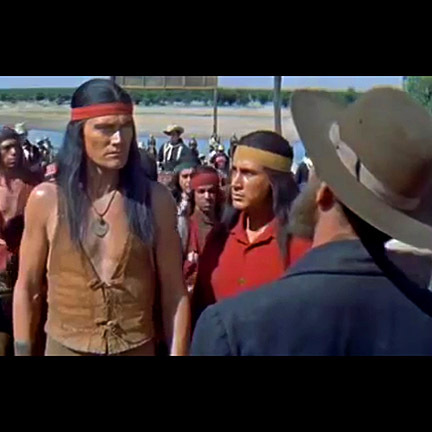 Geronimo meets with Lt. John Delahay (Adam West) to review the proposed peace treaty, and is outraged that the treaty does not specify that their tribe will be regarded as “Apache.” Also featured in the scene where the military escorts the Apache’s to San Carlos Indian Agency where Jeremiah Burns greets them and orders that their horses be corralled and accounted for, as many horses are presumed stolen and are to be returned. 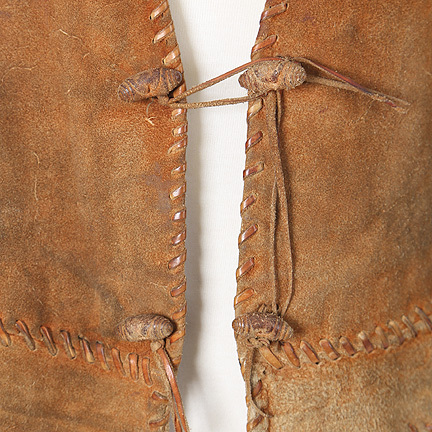 Geronimo is upset, but Burns assures him that the government will take care of everything, including food. 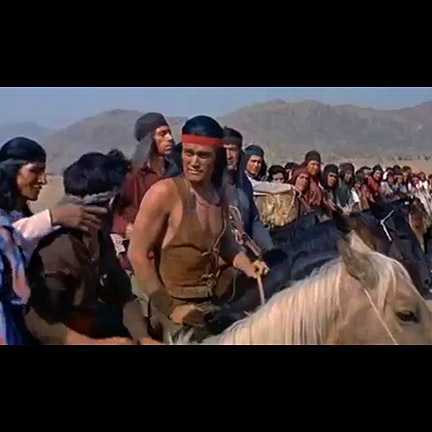 Geronimo sees that the Apache around him are no longer living as they once were. 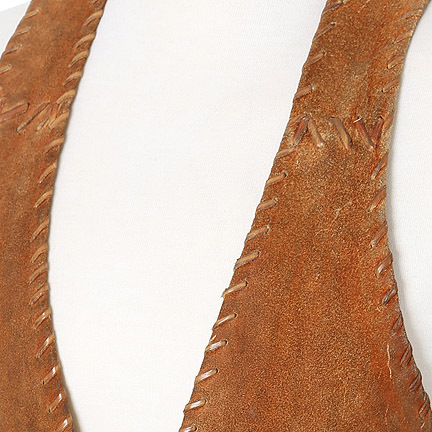 Geronimo stars Chuck Conners, Kamala Devi and Adam West. 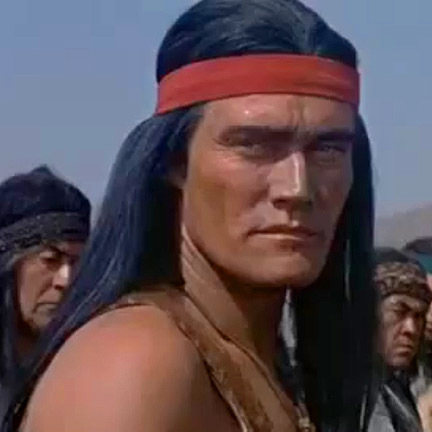 The film tells the story of the Native American Apache chief, Geronimo, who defies the US and tries to bring his Apache people together for a revolt after being forced into a reservation that no longer reflects their original way of life. 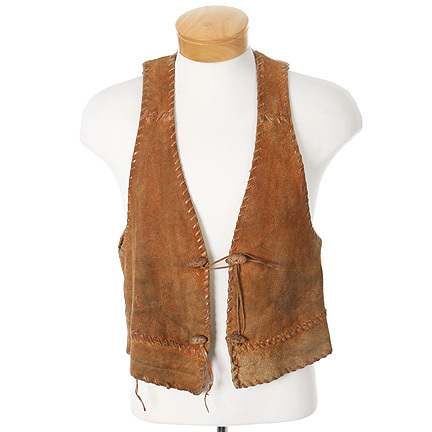 The vest is in good screen worn condition and is accompanied by a certificate of authenticity.